The sharp diagonal breaks in the background of Adelphi’s Sunflowers suggests how the Constructivist art movement influenced Deco design. 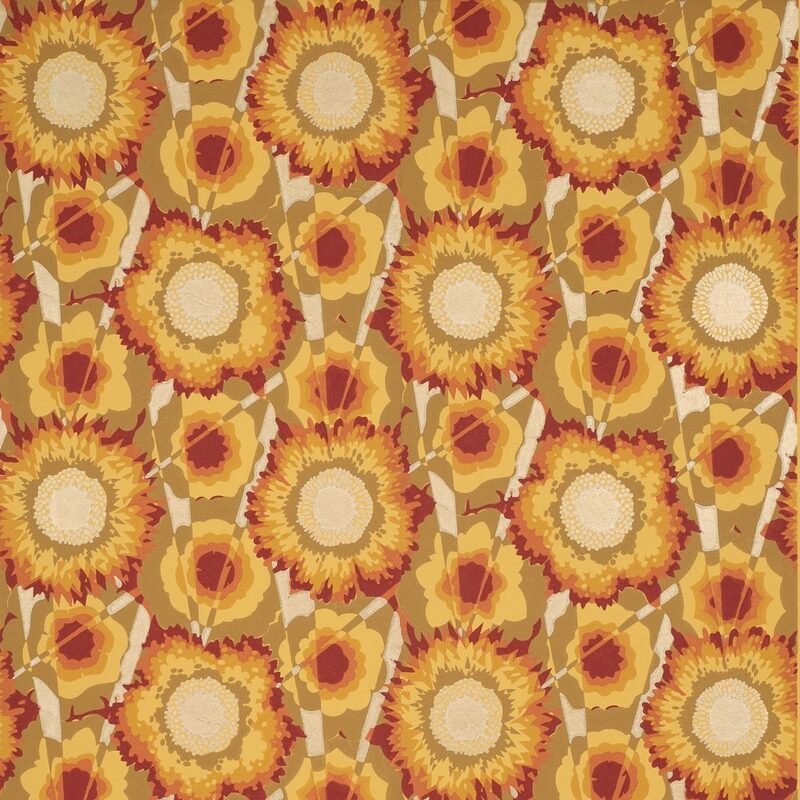 By an unknown designer, this bold design of large stylized flowers is somewhat reminiscent of Émile-Jacques Ruhlmann floral patterns, but the palette of yellow, red and metallic gold is entirely different. Imperial Measurements: Repeat 19 ½ inches, width 18 ½ inches, length 11 yards, half-drop match. Metric Measurements: 49.5 cm, 47 cm.